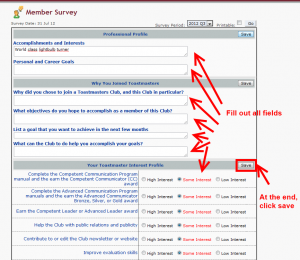 This page will give you some information on how to fill out your member survey on Easy-Speak. Getting this information is very important for our club so that we can really go into the direction that the members would like to go. 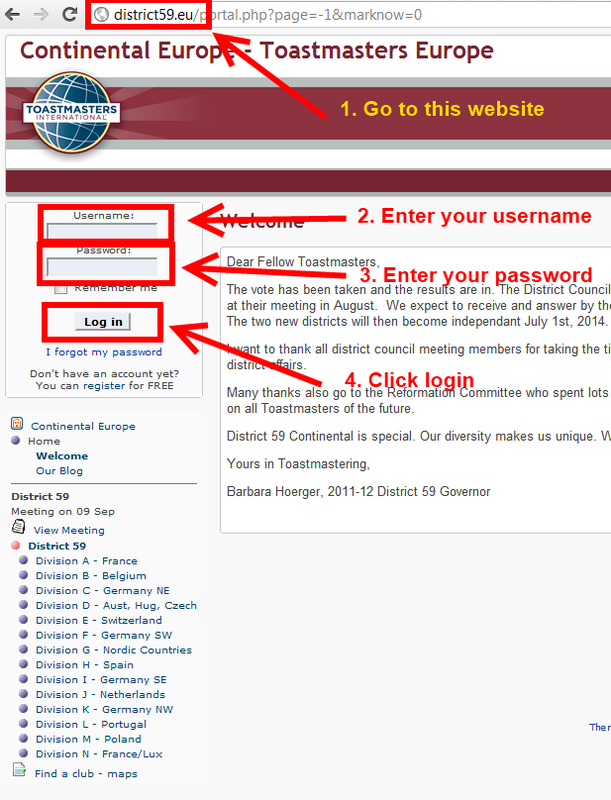 Therefore, we are interested in your interests, goals (regarding Toastmasters and elsewhere). Also you will an evaluation section in the survey where we would really like you to give feedback and suggestions on your experience. It is possible that you do not need this step, if you have never been to another club, but a lot of us have been to the German club. If you cannot perform the next step, do this step! 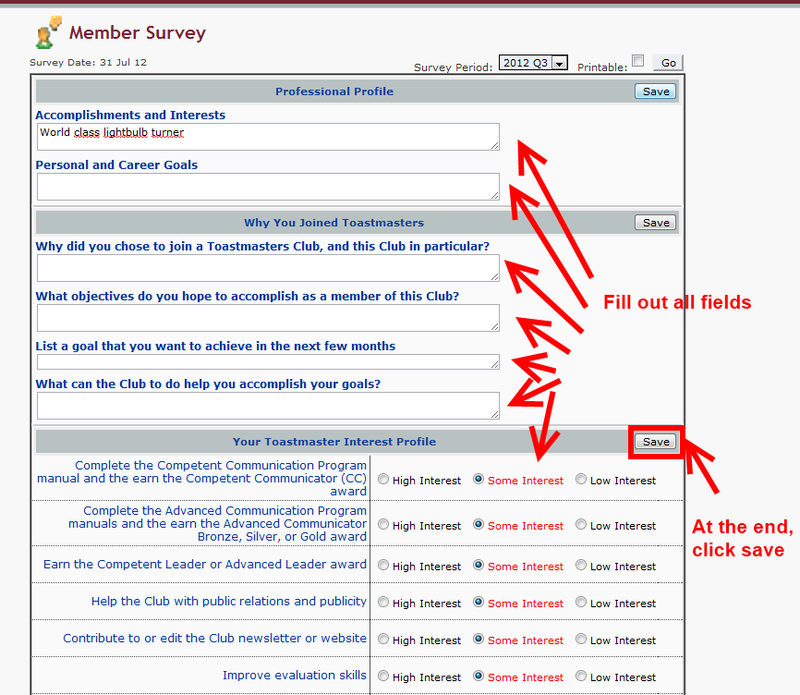 In the menu on the left, click “Complete Member Survey”. 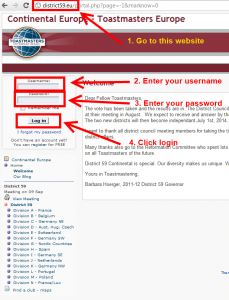 You are now on the survey page. Please answer all questions to the best of your ability to help us help you! Use the buttons with “High Interest” – “Some Interest” – “Low Interest” to indicate your preferences. Important: Click the save button to save your results! You can save at any time!